You’ve been writing on your blog for a while now and have begun to attain a fair amount of followers. What’s the next step? For most serious bloggers, their next step is to purchase website hosting. Not only does it give you more creative freedom; web hosting services also provide a greater scope to establish yourself further as a brand. Sounds great, doesn’t it? As one of the vital elements of taking your blog to the next level, you need to find a suitable web hosting provider and zero in on the type of hosting you want. It’s not always the simplest of processes, so here are some common mistakes you want to avoid. The first thing you’ll notice when you begin looking for website hosting providers is that it doesn’t cost a fortune, which comes as a shock to many people. If you’ve put aside a budget each month for your blog, web hosting costs shouldn’t make much of a dent at all. With that said, it’s easy to fall into a trap and end up paying a lot more than you anticipated. A lot of companies will offer a deal where the first year is ridiculously cheap, but then the price shoots up. Many web hosting customers marvel at the low cost and neglect the fact that it’s only the cost of the initial year. In the early stages of your blog, you won’t have an abundance of future work lined up or contacts to rely on for consistent income, so you’ll be working on a tight budget. 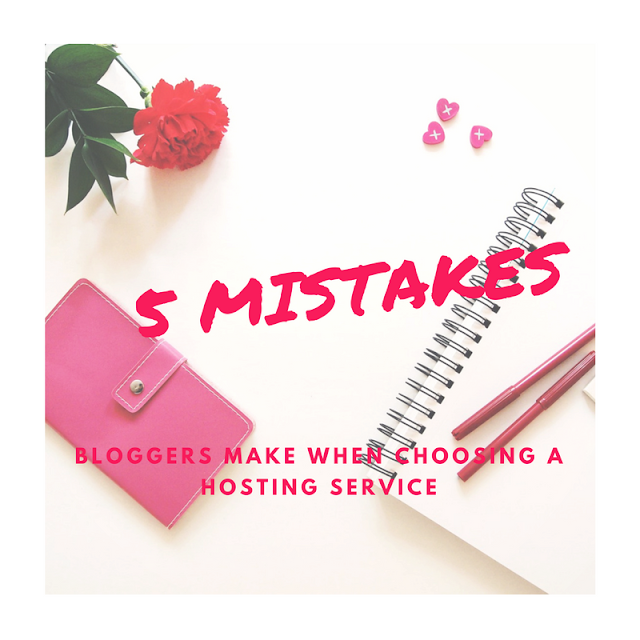 It’s for this reason that many bloggers choose to settle for free hosting. While free website hosting may be a way to save money for other aspects of your business, it offers you less in regards to creative freedom and having the ability to brand your blog. As a blogger, establishing your brand and creating a unique and engaging blog should be your top priorities. You’ll also be very limited with the amount of bandwidth and web space available, meaning your website will be a lot less user-friendly compared to bloggers who use dedicated website hosting. From time to time, you’re bound to have some technical issues with your blog and need some advice about your current hosting plan. In steps your trusty web hosting provider to save the day. Or do they? It’s always a smart idea to know where your hosting provider is based how easy it will be for you to contact them in a time of need. If your primary source of income is your site and it goes down, you’ll have no way of earning money until it’s fixed. A high-quality web hosting provider will treat the support of their customers as a top priority and provide a number of different ways to get into contact. For example, by giving you the option to phone, email, or live-chat, you can assess how urgent the situation is and react accordingly. The process of purchasing website hosting for the first time can be a bit daunting and, with so many additional features and add-ons available, it can all get a bit confusing. Your instincts may tell you to buy plenty of add-ons to make sure your site is as efficient and secure as possible. Before you buy web hosting with all the bells and whistles, have a think about what you will be using your blog for and where you aim to take it in the near future. If your website requires eCommerce features or aspects that require increased bandwidth and storage, this will need to be considered when you purchase web hosting add-ons. Consider the possibility that, at some point, you may want to cancel your website hosting plan. This could be because of financial reasons if your professional circumstances have changed, or your hosting requirements could have changed and you need a new host to accommodate your needs. Choosing a web hosting provider that has a refund policy will prove to be a massive benefit if you happen to change your mind. It’ll give you peace of mind knowing that you won’t lose all of your money if any issues should occur. It’s worth noting that some companies have refund policies in place for a certain amount of time, such as within the first six months of your plan. This is why you should always read the small print so you don’t come unstuck after that initial period is over. Blogs are now one of the most popular and easily accessible digital platforms out there. These days, every man and his dog has one (there probably are dogs with blogs somewhere), so to maintain a successful blogging career, it requires a particular skill set and tenacity — but it’ll also require you to avoid making some avoidable mistakes. Many bloggers who seek out web hosting services will carry out the mistakes mentioned above. They may seem minor and nothing that could cause too much trouble, but if you want your blog to take off and gain a loyal following, a reliable web hosting provider will soon become your best friend in times of need. So make sure you pick a good one. I've recently stumbled across Logojoy which looks like a fantastic service. Considering their services for logo design start from less than $25 I think they offer a really great service and one I will be trying for myself soon enough!